RICHMOND, Va. — A Virginia state legislator who intended to begin impeachment proceedings against Lt. Gov. Justin Fairfax backed off on Monday after African-American lawmakers demanded there not be a rush to oust Mr. Fairfax, who is black, over accusations of sexual assault while the state’s white governor and attorney general are refusing to resign after they admitted wearing blackface in their youth. The failed attempt by Delegate Patrick A. Hope, the white lawmaker who was to file the impeachment legislation, demonstrated that as the scandal engulfing Virginia’s government enters its second week, it is only growing more painful for Democrats, who are having to confront three statewide officials of their own party. He had said on Friday evening that he would introduce articles of impeachment on Monday if Mr. Fairfax, a fellow Democrat who denies the allegations, had not resigned by then. 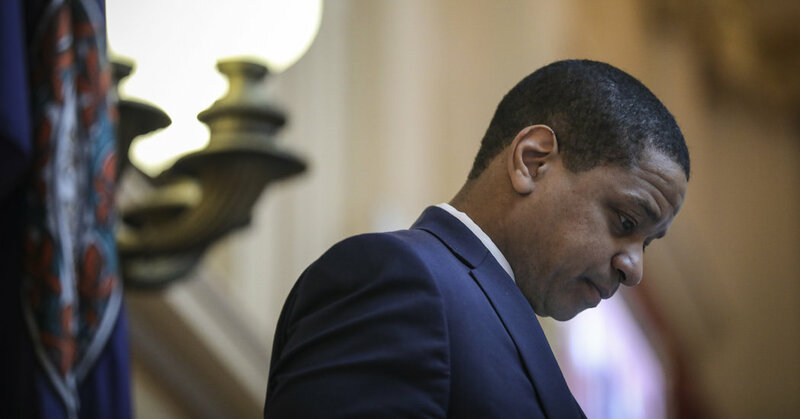 Delegate Lamont Bagby, the chairman of the Virginia Legislative Black Caucus, said in an interview Monday that it was important for Democrats to find “the proper avenue” to investigate the claims against Mr. Fairfax.